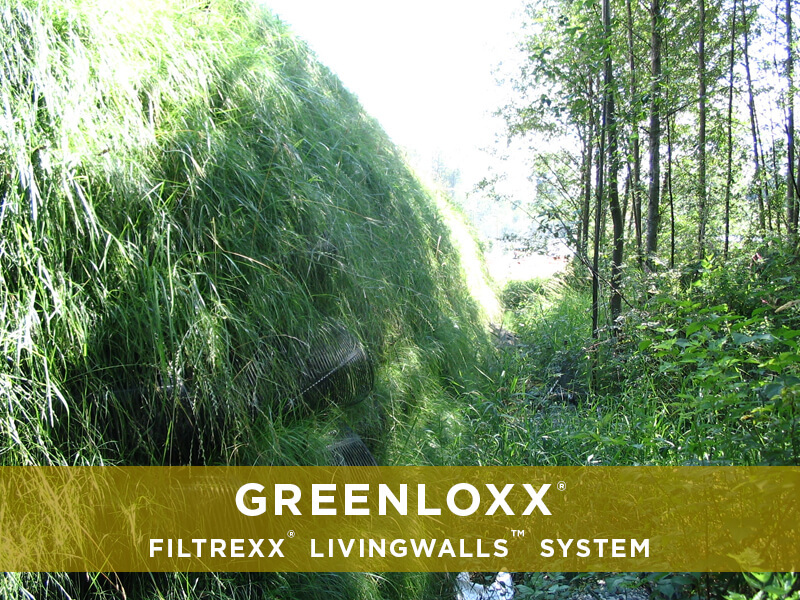 GreenLoxx® can be used in Mechanically Stabilized Earth (MSE) or non-Mechanically Stabilized Earth (Non-MSE) living walls. 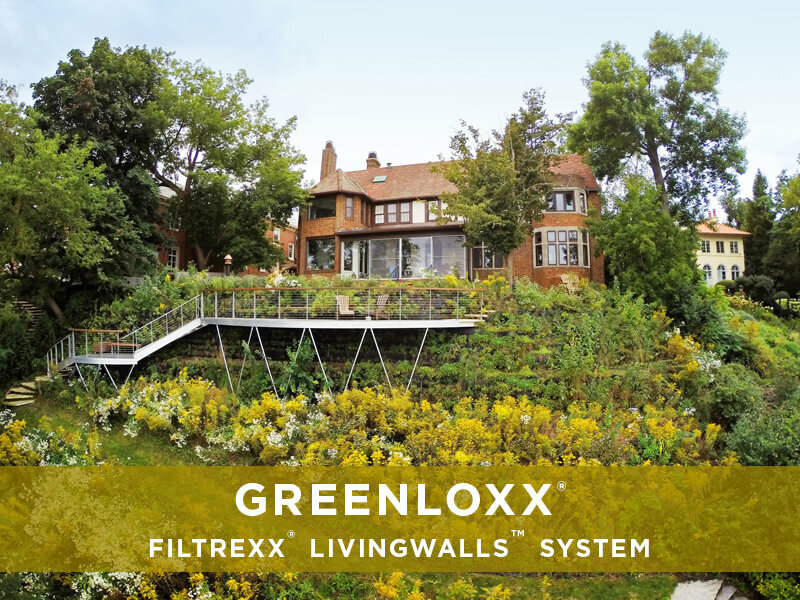 GreenLoxx living walls are an excellent alternative to retaining walls built with conventional block or concrete systems as they offer reinforcement capabilities in addition to sustainable and aesthetic features. 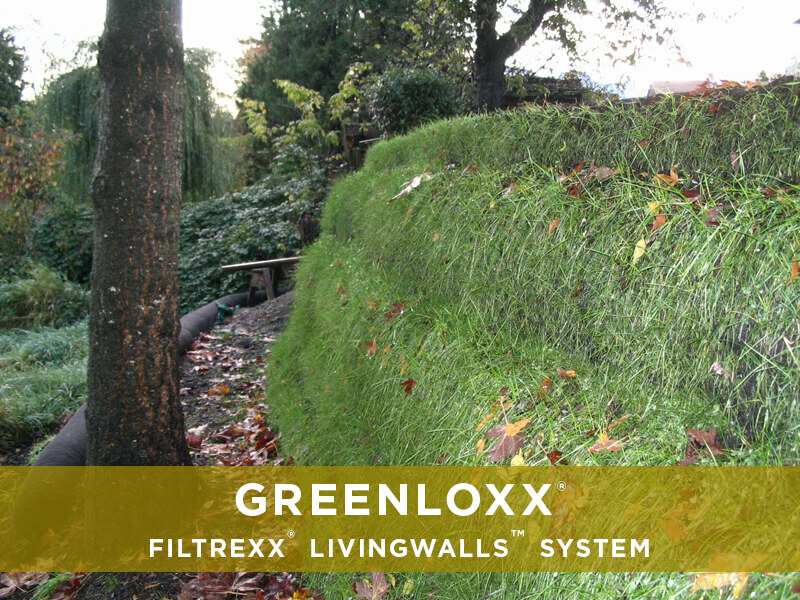 Greenloxx living walls are reinforced with geotextile support to form a retaining living wall that “locks”. 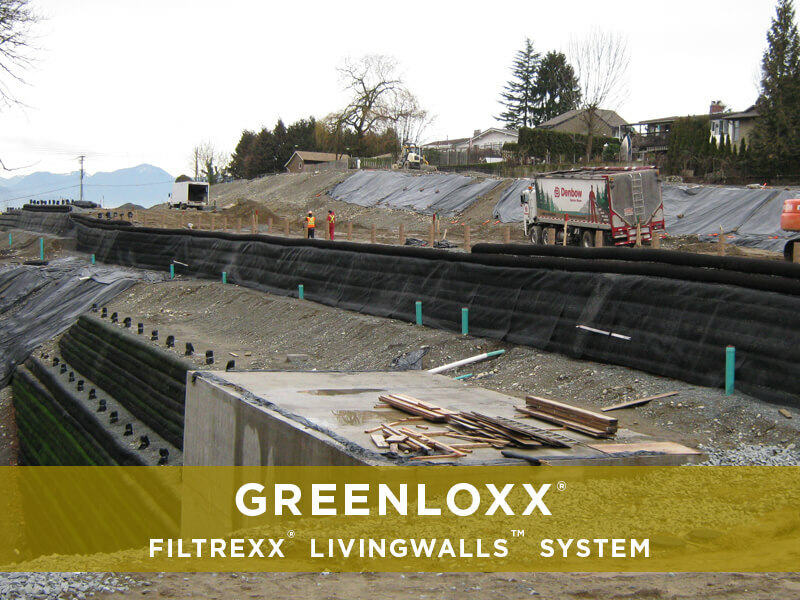 The locking system is created by the integration of Filtrexx geogrids (FLW) and a fascia made from GroSoxx® filled with GrowingMedia™. 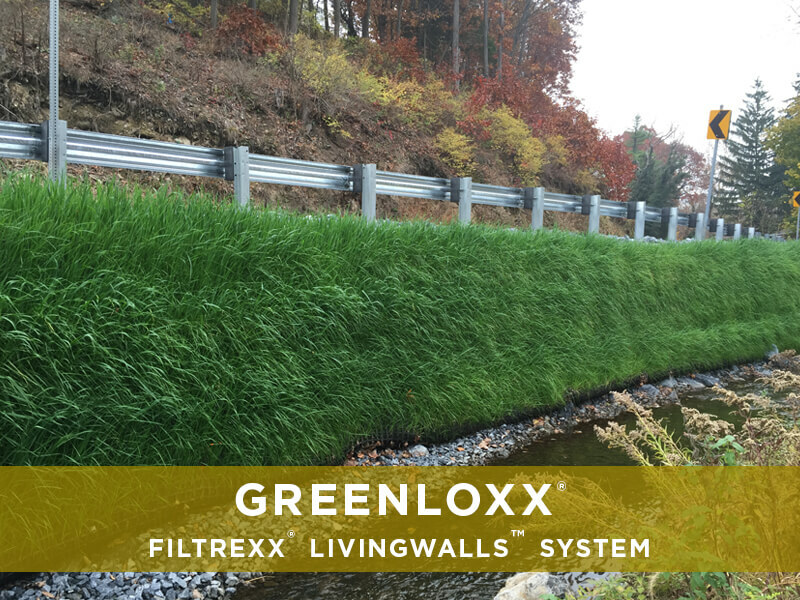 With the use of GroSoxx, the GreenLoxx living wall system provides superior soil retention and erosion protection to the desired area and an optimal environment for vegetation establishment. 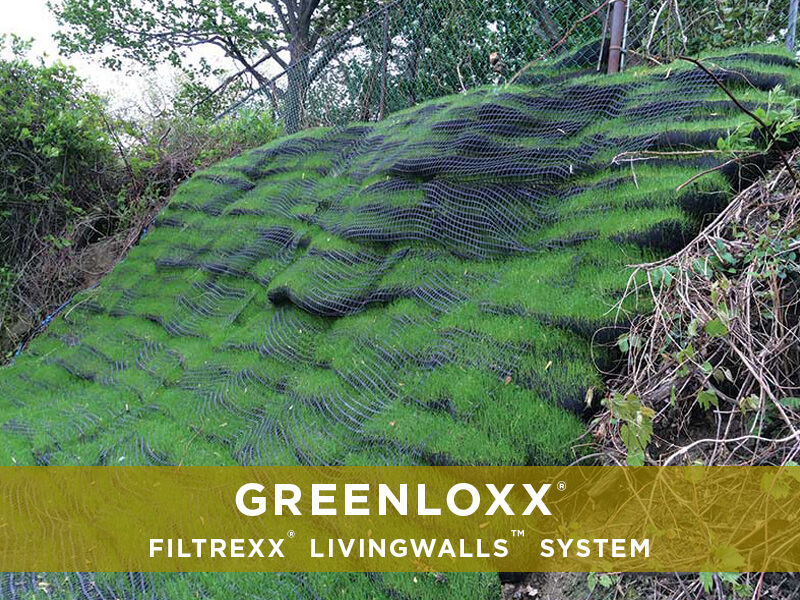 GroSoxx consists of Filtrexx® Soxx™ mesh, filled with composted Filtrexx GrowingMedia. 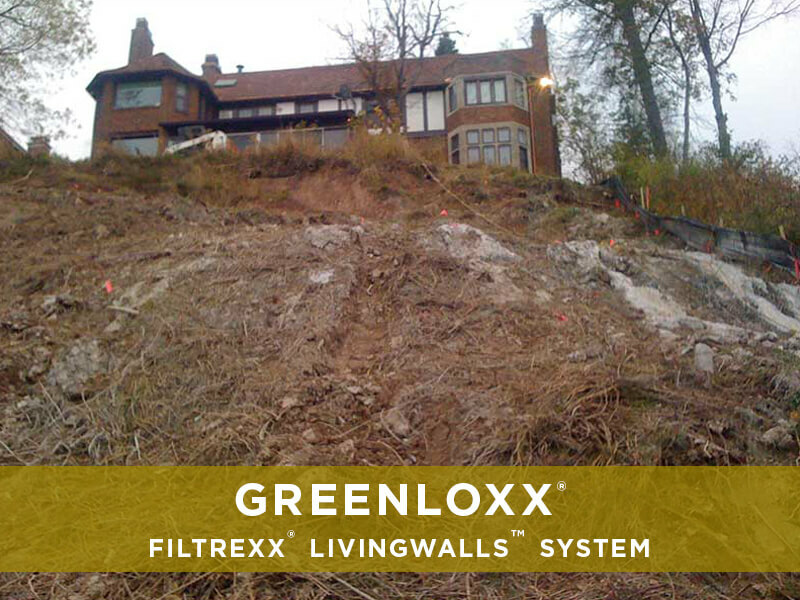 GroSoxx are stacked on top of one another in a recessed fashion on steep slopes to near vertical situations. 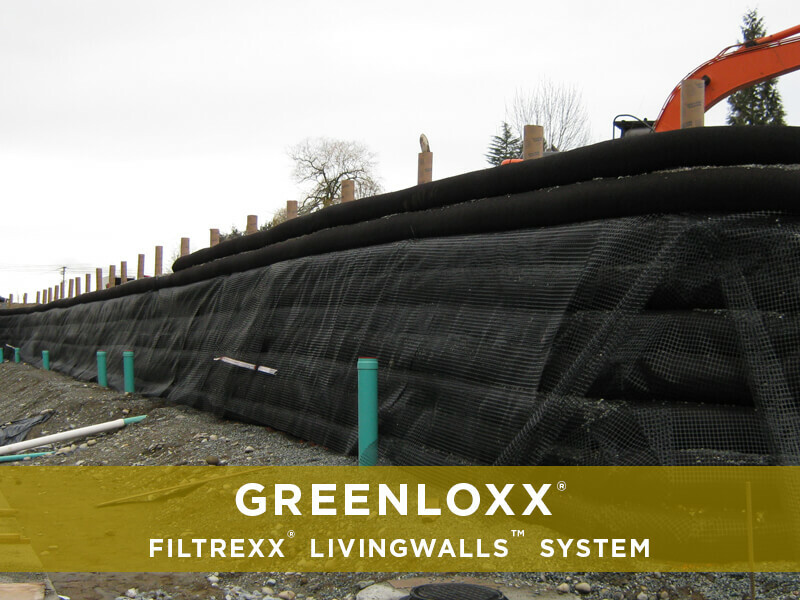 Filtrexx FLW geogrid is seamlessly incorporated into the system giving it added structural support and integrity to meet specific environmental and site requirements. The addition of vegetation growing through the facing with healthy roots penetrating the entire structure adds environmental service, natural aesthetics and structure. 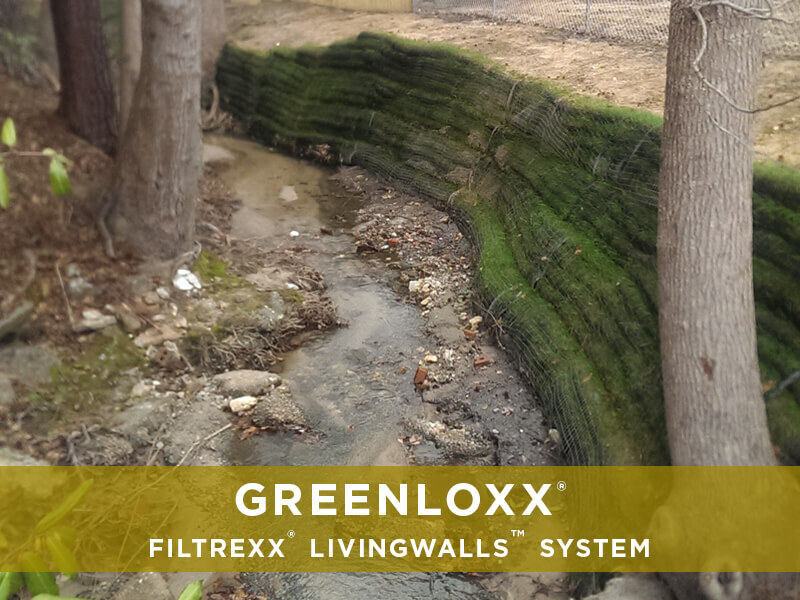 Filtrexx has created a full line of vegetated retaining walls that utilize our proprietary GrowingMedia to provide a fertile growing medium that encourages vegetation establishment and successfully assists in anchoring roots of the vegetation to the wall, geogrids and the site substrate. 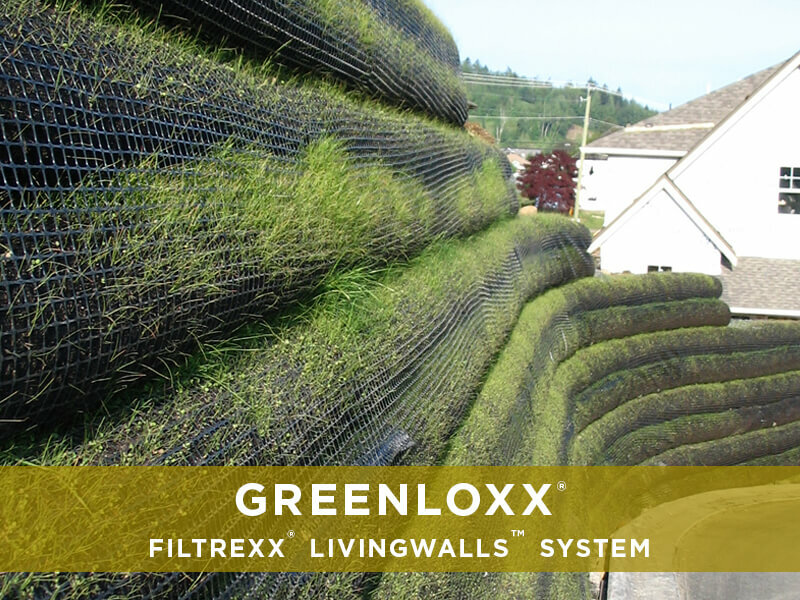 Contact Filtrexx LivingWalls and let us collaborate on your next living wall project development.